A good look at English literature will tell you that a great many books, at their heart, are about real estate. What would Romeo and Juliet have been without those two households both alike in dignity? And then think of all the stately homes of 19th-century fiction—Pemberley, Thornfield Hall—and then Howards End and Darlington Hall, more recently. 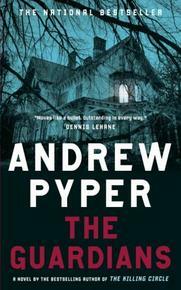 There are fictional houses that we know as well as their books, and this is certainly the case in Canadian literature as well. And while our fictional homes may not often be stately, these houses are just as integral to the stories in which we find them. These are houses that are characters in their own right. That place mattered much to L.M. Montgomery is evident from the titles of her books, her preoccupation perhaps born from her own rootlessness as a child and even as an adult, moving around as a minster's wife. 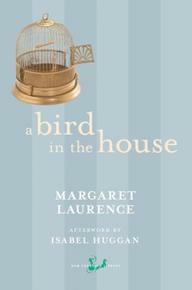 Instead of having a home, she imagined homes and houses which live large in the mind of Canadian readers. 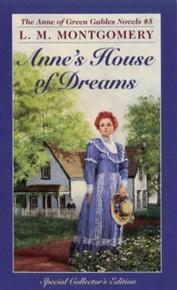 There are Anne's houses: Green Gables, Windy Poplars, her House of Dreams, and then Ingleside, where she raises her family. Other Montgomery-invented abodes include New Moon, Silver Bush, Lantern Hill, and The Blue Castle, each one as alive as the characters who inhabit them. Margaret Laurence was similarly fixated on place in her fiction, her invented Manawaka based on her native Neepawa. And how memorable are her characters' homes—the Cameron family living over the funeral home, Hagar Shipley's marital home, Morag Gunn's ramshackle home with her adopted parents, not to mention her home by the river later in life. Though it's Vanessa MacLeod's house that stands out most vividly, from A Bird in the House. The book begins, "That house in Manawaka is the one which, more than any other, I carry with me. Known to the rest of the town as "the old Conner place" and to the family as the Brick House, it was plain as the winter turnips in its root cellar, sparsely windowed as some crusader's embattled fortress in a heathen wilderness its rooms in a perpetual gloom except in the brief light of summer. Many other brick structures had existed in Manawaka for as much as half a century, but at the time when my grandfather built his house, part dwelling place and part massive monument, it had been the first of its kind." 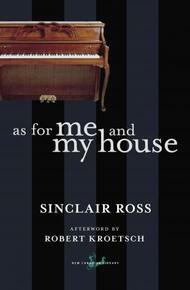 While the house of the title of As For Me and My House does not refer to a literal house exactly (because here we've got another rootless minister's wife whose house is never really her own), Sinclair Ross's novel effectively evokes a sense of place, and the reader remembers his description of the main street of the town of Horizon, all those buildings with fronts as false as those of the people who live and work inside them. 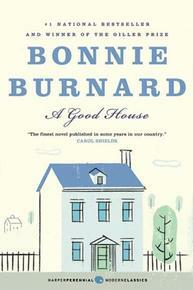 Bonnie Burnard won the Giller Prize in 1999 for A Good House, the story of three generations of a family in small town Ontario, their house as solid as Laurence's Brick House and perhaps the surest thing in the whole familial arrangement, the backbone of their lives. That the house in Ami McKay's The Birth House seems magically realized is unsurprising—it's based on her own house on The Bay of Fundy. 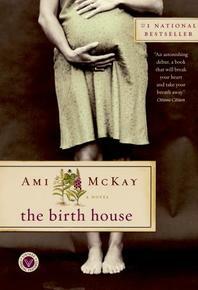 The novel was born from McKay's research and daydreams into the life of a midwife who had lived there decades ago. Tish Cohen's dreamed-up houses are certainly memorable, such as the eponymous Town House in Boston, where her agoraphobic protagonist hides from the world, and the Los Angeles house on the edge of a ravine in The Truth About Delilah Blue, in which a young woman begins to realize the real story of her troubled past. 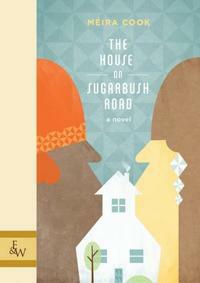 Méira Cook's The House on Sugarbush Road won a 2013 Manitoba Book Award, and centres around the lives of a family in Johannesburg, and how those lives and their house (behind tall walls and equipped with expensive security features) are contrasted with those of the black people who've worked for the family for years. With the end of apartheid, this power structure in turned on its head. Nothing is sweet about this book except the street in its title, as its explosive conclusion makes clear. And if Canadian fiction seems as crowded with houses as a Levittown, it's got nothing on our poetry. 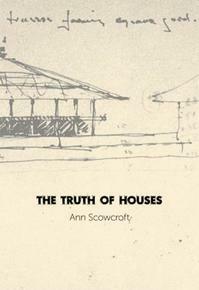 For just a sample of house poetry, check out The Sink House by Julia Williams, The Truth of Houses by Ann Scowcroft, The Wedding House by Alison Smith, The Counting House by Sandra Ridley, House Beneath by Susan Telfer, The Little House by Heather Simeney MacLeod, and The House is Still Standing by Adrienne Barrett. 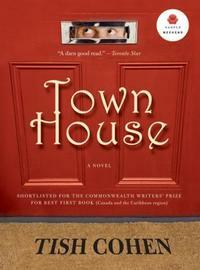 What are your favourite memorable houses from CanLit?